It is always a humbling experience to speak to someone who dedicates their life to helping others. 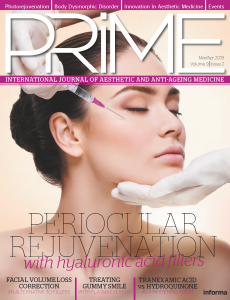 For our April/May issue of PRIME North America, I spoke to Dr Craig Hobar, Founder of the LEAP Foundation, about the Foundation’s work in bringing surgical relief to those in need around the world. This month, I had the pleasure of speaking to Dr Tunc Tiryaki, chair of the Humanitarian Program for the International Society of Plastic Surgeons (ISAPS) and co-Founder of the ISAPS-LEAP Surgical Relief Teams (SRT). 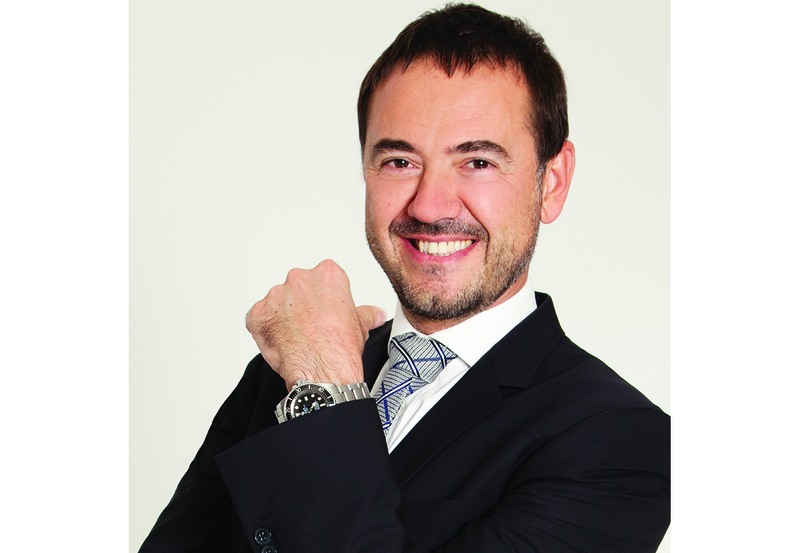 Dr Tiryaki is an award winning surgeon and lauded as a pioneer in the emerging techniques in his field. Owing to his expertise and experience, he is often asked to speak at congresses around the world including the US, UK, Germany, Brazil, Russia, France, and South Korea. However, it is another area of his work I am interested in discussing — disaster relief. Dr Tiryaki has been involved in relief work for over 15 years and has assisted in relief efforts all over the world. His volunteer work helped him secure his position of chair of the Humanitarian Program at ISAPS, and he is now responsible for educating ISAPS members on how they can contribute to future surgical relief work. To understand why he feels so passionately about providing disaster relief, Dr Tiryaki takes me back to where it all began. On 17 August 1999, Turkey was struck by the largest earthquake in its history. Measuring 6.7 on the Richter scale, the earthquake struck the town of Izmet at 3am while most residents of this densely populated area were still asleep. Dr Tiryaki was working in the nearby Kocaeli University’s medical faculty and was on the front line during the aftermath of the disaster. The earthquake in Turkey was Dr Tiryaki’s first experience of disaster relief, and while it was an incredibly testing time, he discovered he enjoyed the work, which involved not just improving but actually saving lives. These further relief efforts have taken him to countries such as Syria, Georgia, Sudan, and Kazakhstan and have confirmed his beliefs that not only are surgical teams a useful asset in relief work but they are absolutely essential during the aftermath of a disaster. ‘What we discovered in the Turkey disaster and other visits was that plastic surgeons were the surgical group who could help the patients the most. In our field we deal with craniofacial trauma, facial trauma, amputations, skin problems, and many others. We are the only surgical group that can intervene in every different part of the body. What we saw, therefore, was that it was us plastic surgeons who should be the first delivered in disaster areas. Recognising the need for surgical teams to play a fundamental role in disaster relief, Dr Tiryaki was committed to finding a way for ISAPS to provide a solution. It was then ISAPS turned to Dr Hobar and the LEAP Foundation to collaborate with them in forming the ISAPS-LEAP Surgical Relief Teams — rapid response surgical teams that can be deployed into a disaster area within 48 hours. ‘What we are working on is creating a rapid deployment force, consisting of plastic surgeons, anesthesiologists and nurses. Not to perform very complex operations but are capable of operating in very primitive environments to save limbs, organs, and lives. The LEAP Foundation is a volunteer organisation providing free surgical relief to children and adults with severe facial or body deformities. They make annual visits to a number of countries but it was the disaster relief they provided to the people of Haiti after the 2010 earthquake, which really brought them to the attention of ISAPS. Dr Craig Hobar was in Haiti by day four of the disaster and already delivering relief work with his LEAP team when Dr Renato Salz, President of the American Society of Aesthetic Plastic Surgery (ASAPS) asked him to help coordinate the ASAPS relief effort. Dr Hobar used his experience and contacts to secure transportation, safe housing, translators, and in-country coordinators in Haiti, as well as establish a presence at Haitian Community Hospital. So successful was the Foundation’s work that Dr Hobar, representing the LEAP Foundation, was awarded the 2010 Humanitarian Services Award by ASAPS. With the LEAP Foundation’s expertise in organising rapid relief teams, and ISAPS’ almost 3000 surgeon members present in 96 countries around the world, Dr Tirayki is confident the ISAPS-LEAP Surgical Relief Teams will be able to provide surgical relief to any disaster-hit area within 48 hours. Dr Tiryaki brings his past experience from the earthquake in Turkey and his other relief work to his role as the Chair of Humanitarian Programs of ISAPS. An important function of his role is to educate ISAPS members on the role they can play in relief efforts, and he admits it was difficult at first to convince them of the necessity of Surgical Relief Teams. ‘It was a fight to create the Surgical Relief Teams. At the time, even plastic surgeons didn’t believe they should be the first people on the scene after a disaster, but they wouldn’t know because they have never been in those circumstances. But I know from my experience in Turkey that it was the plastic surgeons who were jumping into the ambulances to help the survivors and injured. Now my work let’s me educate our members not only on the importance of their skills in these areas but also educating them on how to survive and operate under disaster circumstances. ‘We have a one or two day programme on how to survive in a disaster area, how logistics work, how to prepare yourself, what kinds of surgical interventions are needed and how to do it. How to perform these surgeries is just a part of the training we are providing in order to create these rapid response teams. These training events go on in different places around the world, so we can have people ready in countries all around the world to go out in the field. Surgical Relief Teams were created to provide disaster relief; however, they are currently being sent to Jordan in order to assist those affected by the crises in Syria. While it is too dangerous to send volunteers to Syria itself, since October 2013, ISAPS-LEAP volunteers have been travelling to Jordan to support local physicians working with the Treating the Wounded Syrian Program at the Dar Al Salam Hospital in Amman and performing reconstructive surgery on Syrian refugees who have been injured in the conflict. While not an acute disaster, ISAPS members, working together with the LEAP Foundation and Relief International, are delivering much needed assistance to the local medical personnel. The ISAPS-LEAP volunteers have financed the trips themselves, taking their specialist medical equipment with them at their own expense and using whatever medical supplies they have at their disposal locally. To date, ISAPS-LEAP volunteers have evaluated over 150 patients, selecting more than 50 for surgery across the full surgical spectrum including traumatic blast and gunshot wounds, to upper and lower extremities, hands, and face. Plans are already in place to send multiple teams throughout the year and Dr Tiryaki is determined to continue to send volunteers to Jordan indefinitely as long as there is a need for help and guidance.